The Windy City's critically acclaimed Porchlight Music Theatre Company is turning back the clocks during the return of their ever popular 'Porchlight Revists!' series. Dedicated to shining the spotlight on Broadway's forgotten musicals, each performance invites audiences to a special pre-theatre 'Behind the Show Backstory' presentation, immersing theatre fanatics in the show's rich history, interesting tidbits and behind the scenes gossip. 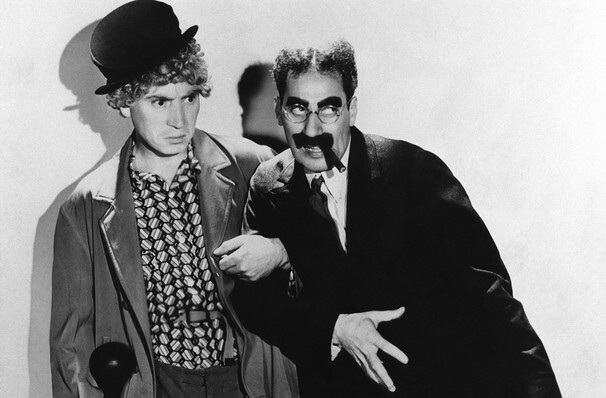 Opening on the Great White Way in 1970, Minnie's Boys had the potential to become a classic, featuring the story of counter-culture heroes The Marx Brothers and their vaudeville-to-Hollywood journey under the leadership of their Mama Rose-esque mother Minnie Marx. But production issues and red tape plagued the production, overshadowing its hysterical punchlines and joyful score. Now the neglected treasure gets dusted off and revitalised, allowing a diamond-in-the-rough to shine anew! Sound good to you? 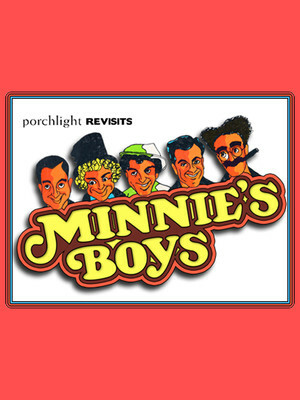 Share this page on social media and let your friends know about Minnie's Boys at Ruth Page Center for the Arts. Please note: The term Ruth Page Center for the Arts and/or Minnie's Boys as well as all associated graphics, logos, and/or other trademarks, tradenames or copyrights are the property of the Ruth Page Center for the Arts and/or Minnie's Boys and are used herein for factual descriptive purposes only. We are in no way associated with or authorized by the Ruth Page Center for the Arts and/or Minnie's Boys and neither that entity nor any of its affiliates have licensed or endorsed us to sell tickets, goods and or services in conjunction with their events.